In the present competitive era, there is an increase in the number of students seeking admissions in good colleges and graduate schools, which is accompanied by more stringent admission process. Along with the application for admission, students are required to write an admission essay to introduce themselves, their skills and interests and explain why they should be selected for the applied course. A well-written admission essay improves the chances of selecting an application. If you are one of the students, who want to obtain the admission in a high ranking school/college, you should submit an appealing essay that should be concise, but convey your motivation and commitment towards the chosen course. It should reflect your analytical skills and depth of thoughts. 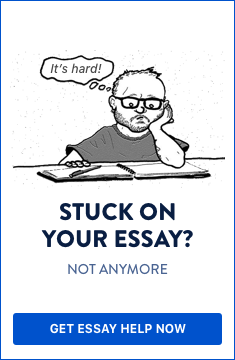 Though most of the colleges and graduate schools publish their requirements for the admission essay, many students fail to write an attractive essay. Moreover, writing an admissions essay is a time consuming and iterative process. Most of the students are involved in multiple academic and extracurricular activities may not find enough time to work on the admission essay. This eventually limits their chances of securing admission in their preferred college/school. If you are facing similar problems, you should get assistance from a professional admission essay writing service. This service not only reduces your possibility of missing a potential opportunity, but also ensures that your essay leaves a good impression on the admission panel. Where to get an admission essay writing assistance? Currently, numerous essay writing companies are available online that offer custom essay services, including admission essay writing. Generally, most of these companies recruit highly skilled professional writers, who are experienced in writing essays in several disciplines, thus guarantee high standard essays for their customers. Additionally, there are hundreds of independent writers, usually known as freelance writers, available online to offer similar services. Both online essay writing companies and independent writers provide various admission essays services, such as high school admission essays, college admission essays, Master’s admission essays and doctorate admission essays. However, most people prefer established essay writing companies to independent writers as it is quite hard to verify the freelancers’ validity and integrity. How to get an admission essay written? Any online admission essay writing company usually offers essay writing services for admission into a high school, college, and university. Among these services, you can choose a suitable category. Then you have to provide full information as outlined in the requirements of the admission essay. These requirements include your selected university or college and the program. Based on your preferences, writers can understand the specifications of the program and the institution. This process is essential to ensure your admission essay meets all the requirements in the guidelines. Finally, you have to place an order and pay for the service accordingly. What are the advantages of admission essay writing services? Dealing with professional custom essay writing companies assures that you will get a top-notch admission essay. The professionals in these companies have vast experience in similar jobs and mostly have good success rate. Therefore, you are assured a higher chance of your admission essay sailing through the admission committee and subsequent approval. Another advantage is that you can get the essay far before the submission deadline. In addition, trusted essay writing companies always deliver original essays. They also ensure that the essay is free from plagiarism and other writing errors. In summary, if you are a student who is seeking admission in a good college/school, but unable to write an admission essay on your own, you should contact a good essay writing company. The experts in the writing company deliver a high quality essay that covers all the requirements and increases the chance of securing admission in the college/school of your interest.